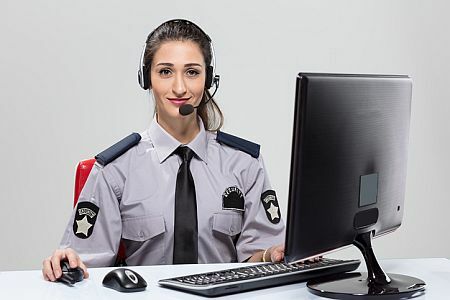 One reason International Protective Service, Inc. (IPS) is able to respond so quickly to security issues is because we have our own dispatch center. Our dispatch center is staffed by highly trained officers who communicate directly with field officers to get backup where it is needed ASAP. Our private dispatch center offers both our clients and our officers one huge advantage—speed. When you are facing a security threat, every second counts. A few minutes may be the difference between property loss and damage or personal injury. There is no “middleman.” We can have additional officers on-site in less than 15 minutes—a fraction of the average response time for local law enforcement responding to a home security call. Because our dispatch personnel have completed security officer training, they may be able to provide instruction or guidance over the phone while you wait for officers to arrive on the scene. What Residential Security Services Do You Need? Our private dispatch center is always staffed—24 hours a day, 7 days a week, 365 days a year. To get access, you need to sign up for residential security services. We can help you determine which services will best meet your needs through a free security assessment. Contact us to get started. Call International Protective Service for residential security that comes with the benefit of private dispatch.